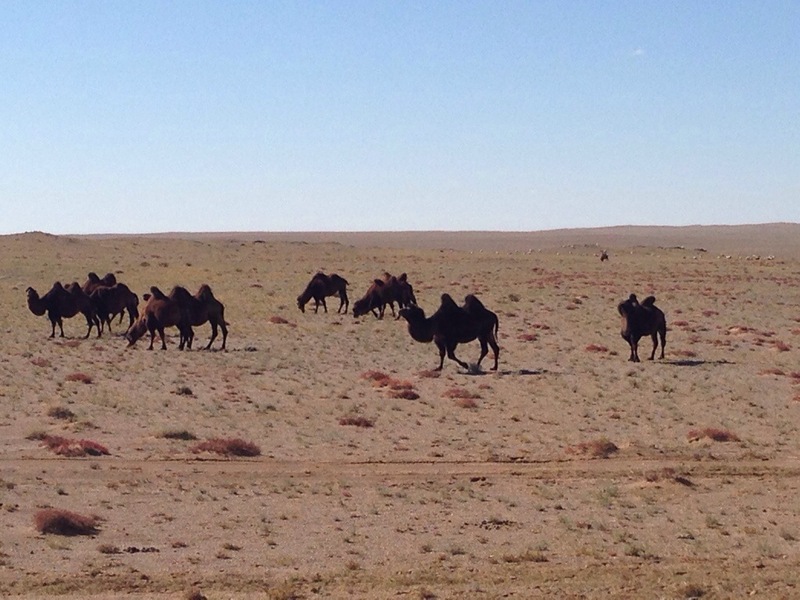 We set out early yesterday morning from Terelj, headed about 650 kilometers south to Three Camel Lodge, which is a bit northwest of Dalanzagad in the Gobi Desert. After about 90 minutes of driving, we stopped in the first of three towns that we expected to see along the way to get some bread, water, and a few snacks. Yes, that’s right, just three towns in more than 400 miles. No joke. And they were tiny towns with just the basic necessities. It reminded me a bit of Alaska or the Australian outback. 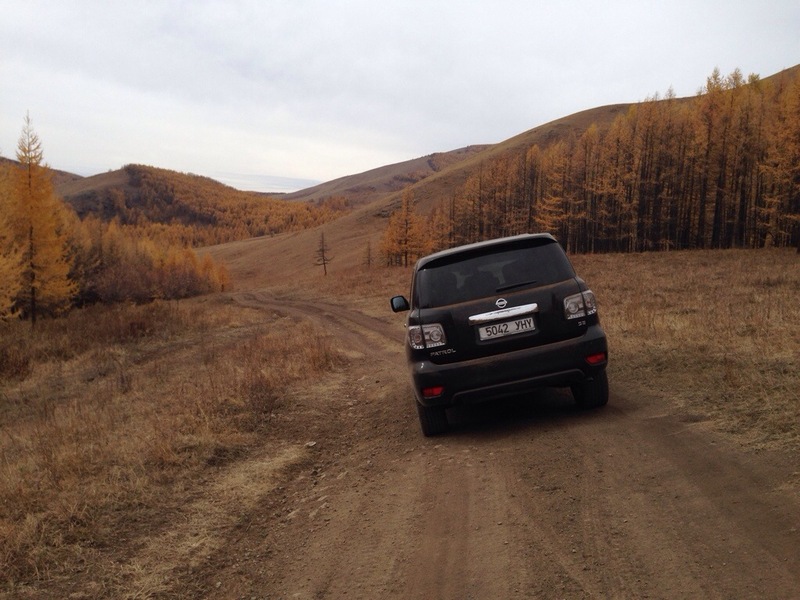 The first two hours of our journey were on dirt roads, constantly checking the GPS to make sure we were on course. With Chris as the driver, me as the navigator, and Kai with the ultimate powers from the backseat, we were lucky to easily find the paved road that we were seeking for the middle few hours of our drive, finally finishing off the last two hours on a dirt road from Dalanzagad to Three Camel Lodge. Along the way we saw many animals; horses, cows, and more two hump wumps than Kai could count. We saw a golden eagle, pikas, marmots, ermines, and even a fox, but strikingly few people. 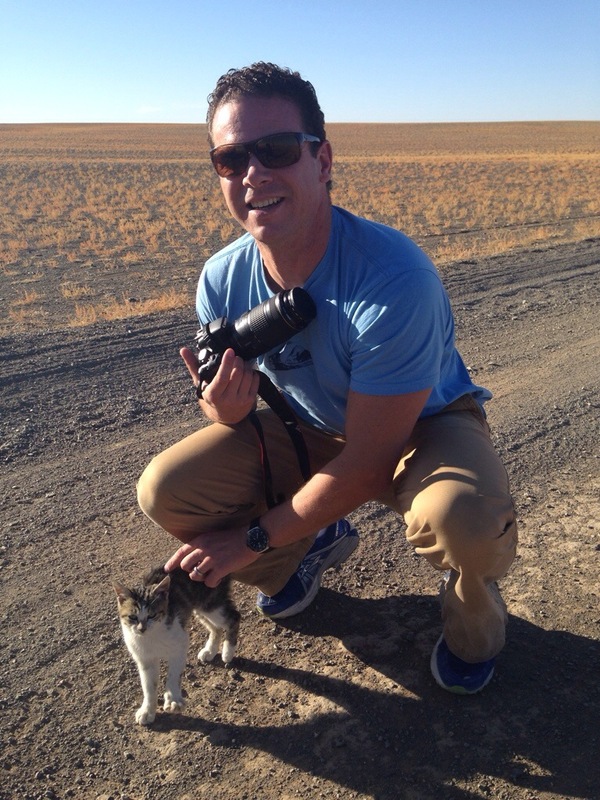 Deep into the Gobi, Chris slammed on the brakes “Brit get the camera! I hope the zoom lens is on! Wild cat up ahead!” We are still debating if it was a lynx kitten or a baby snow leopard. Thankfully, this furry feline was tame! After a full day of driving, covering hundreds of miles, I have concluded that Mongolia is indeed vast and it is most certainly empty. We knew that it was the least densely populated country in the world, but that doesn’t hold much meaning until you visit several province capital cities that are smaller than Dawson City, Yukon. It is pretty remarkable. The Gobi Desert is much different than our desert in Dubai. We are accustomed to Lawrence of Arabia style sand dunes and suffocating humidity, but this is a flat, dry desert covered in low grass and brush with some occasional tumbleweed blowing by. 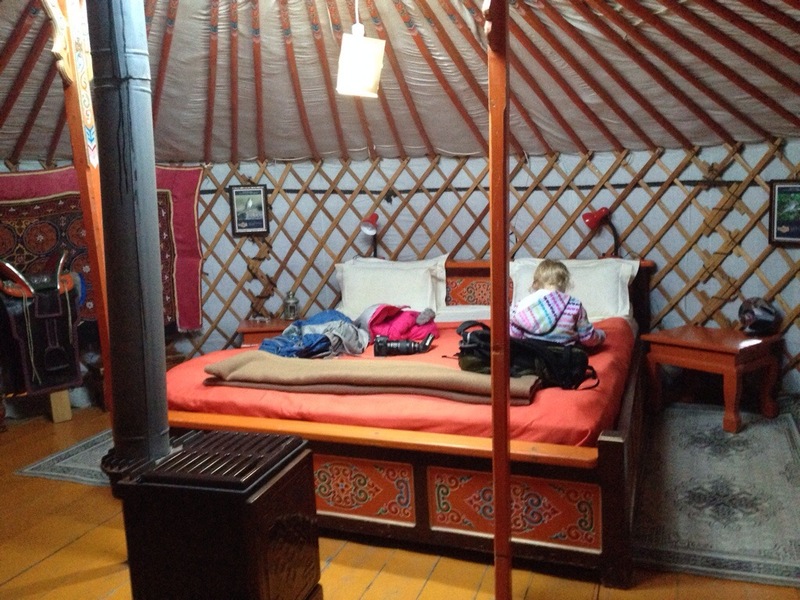 We spent last night in a yurt in the Gobi, which was a pretty remarkable experience. The temperature dipped quite low after the sun set, but the yurt had excellent insulation and a wood stove to keep us warm. Our yurt had the special distinction of being a double yurt with a bathroom and flushing toilet in the smaller side. After a night in the Gobi, we are excited to see the Flaming Cliffs tomorrow, and maybe some petroglyphs and dinosaur eggs too! 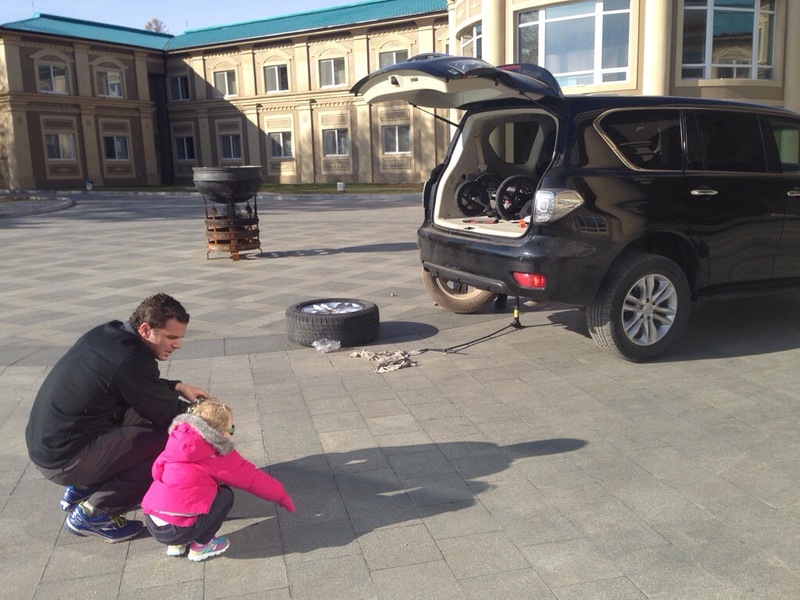 Our second day in Mongolia began with a trip to the local tire repair shop. In reality, I think it was the local fix everything shop; there was also a boat under repair. It really wasn’t much of a shop at all, it was a concrete building with rustic looking wooden doors, a few yurts in the yard for the proprietor and his family to live in, and a junk yard dog thrown in for good measure. 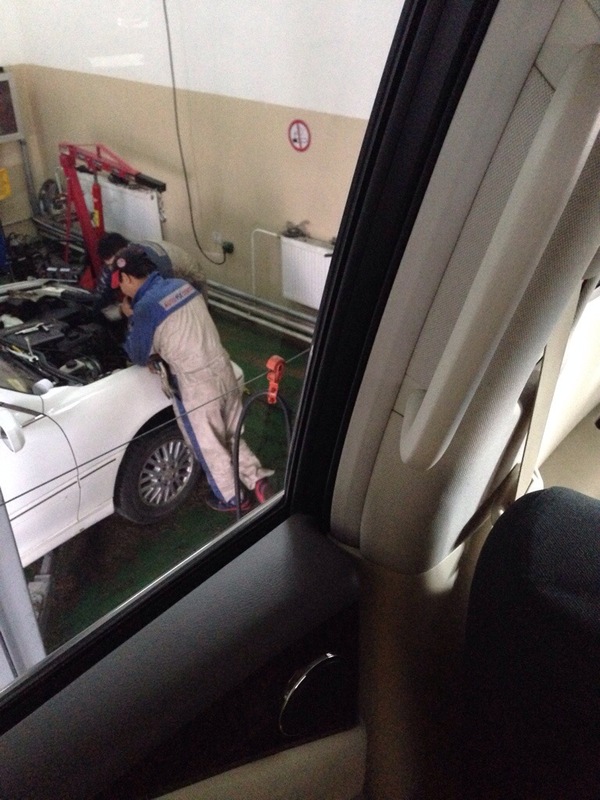 When the tire was fixed, we headed back to our hotel to put it on the car. Kai supervised. Nervous about a less than awesome tire patch, we headed out on a day of adventures to test it out before our long drive to Dalanzagad and Three Camels Lodge tomorrow. In the morning we visited Turtle Rock and a meditation temple before deciding to ditch the touristy stuff and explore some more remote areas. 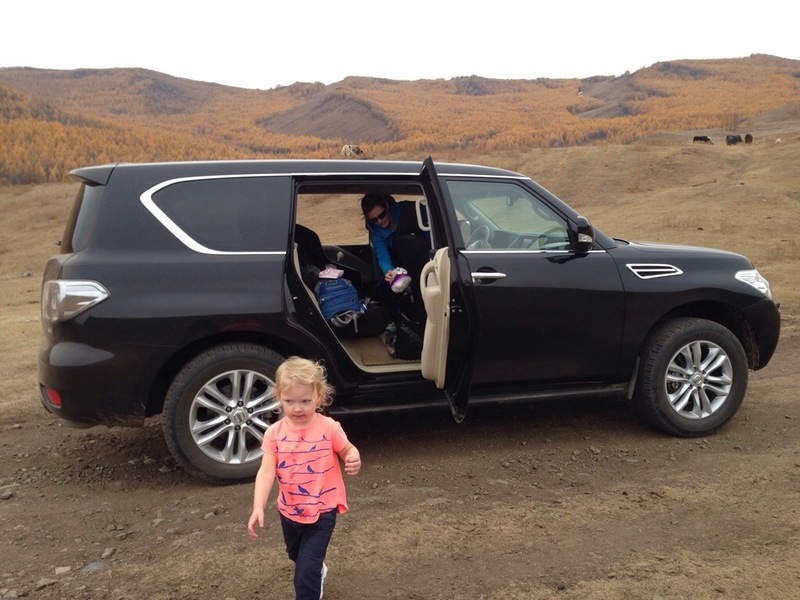 Shortly after heading off-road, Kai did her requisite road trip puke in the car. Chris cleaned the Kai while I cleaned the car. And we both prayed that she had nothing left in her tummy to throw up again. We drove for several hours through nothingness. 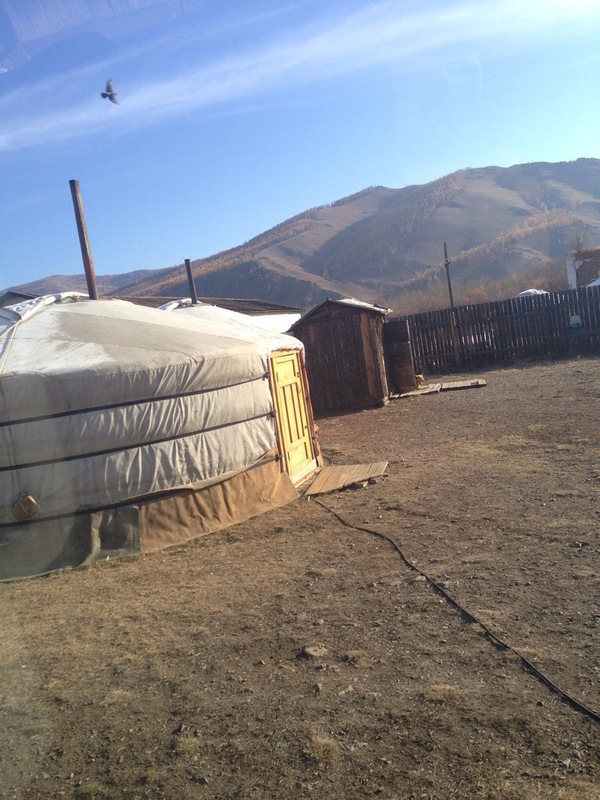 Over hills, through valleys, past yaks, cows, horses, and yurts. 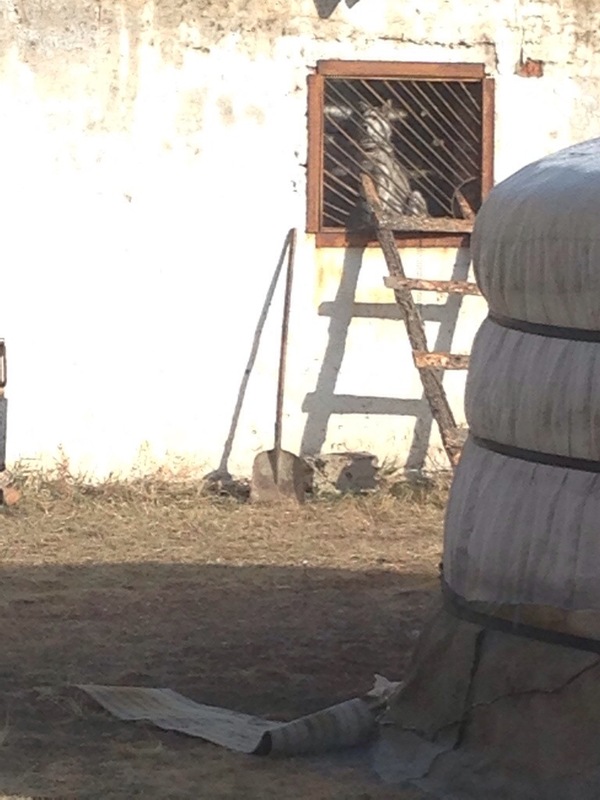 At one point today we even saw a two hump wump, um, camel. After nearly three hours of driving we had almost completed a semi-circle drive from one main road to another, when our path ended. Disappointed, and having exhausted all other alternatives, we turned around to drive back the way we came hoping that we would make it before sunset. Just before dark, we pulled into our hotel only to have the day finished off with projectile vomiting all over the lobby of the hotel. Kai seems to be more prone to motion sickness than most people, I am better than most at puke cleanup. A few weeks ago Chris and I were inspired to buy plane tickets to Mongolia for the upcoming Eid holiday. Before doing much research, we took the plunge and bought the tickets deciding that we would figure out the details later. 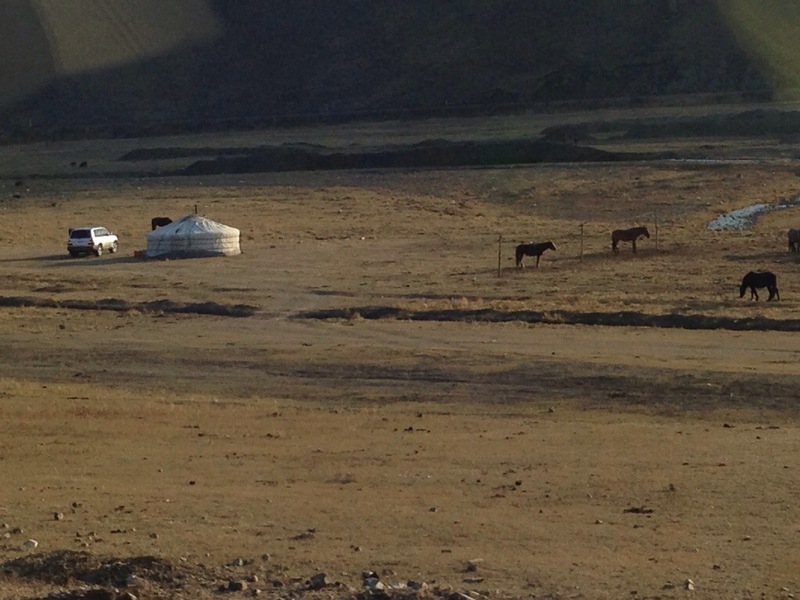 Our initial searches on the Internet told us that Mongolia might be a difficult country to travel in, but we were undeterred and forged ahead with our plans. Fast forward to a few days ago when we hopped on a plane bound for Beijing, still with very few plans for Mongolia, still hoping that we would figure it all out when we arrived. Yesterday we visited the Great Wall of China and then caught an early morning flight to Ulaanbaatar. 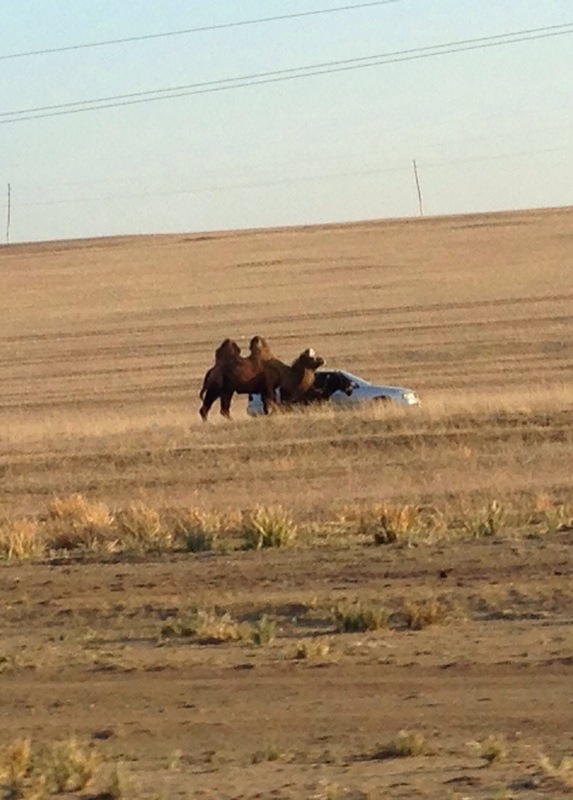 Less than a day into our trip to Mongolia, I can already tell that this is going to be an adventure. 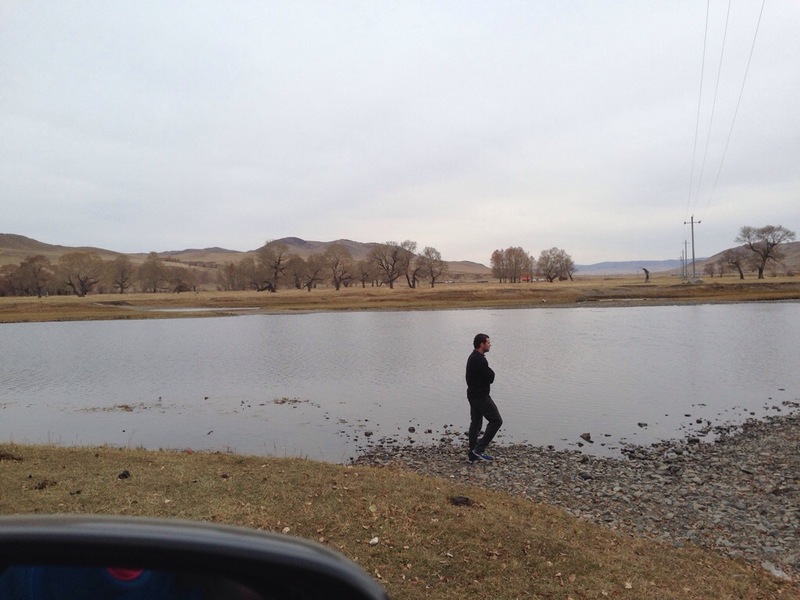 My initial impression of Mongolia is that it is only for the most laid back fly by the seat of their pants travelers. After an ordeal lasting more than three hours we finally got our rental car. It involved Chris heavily editing an absurd car rental contract, a trip to the local mechanic to have the under side of the car inspected, and Chris walking out of the car rental office once with the intention of abandoning that plan. If there had been more than one car rental car company, then we probably wouldn’t have complied with all that nonsense, but Google wasn’t turning up any other legitimate options. Finally we headed out of town in a big Nissan SUV making a pit stop at a grocery store along the way. 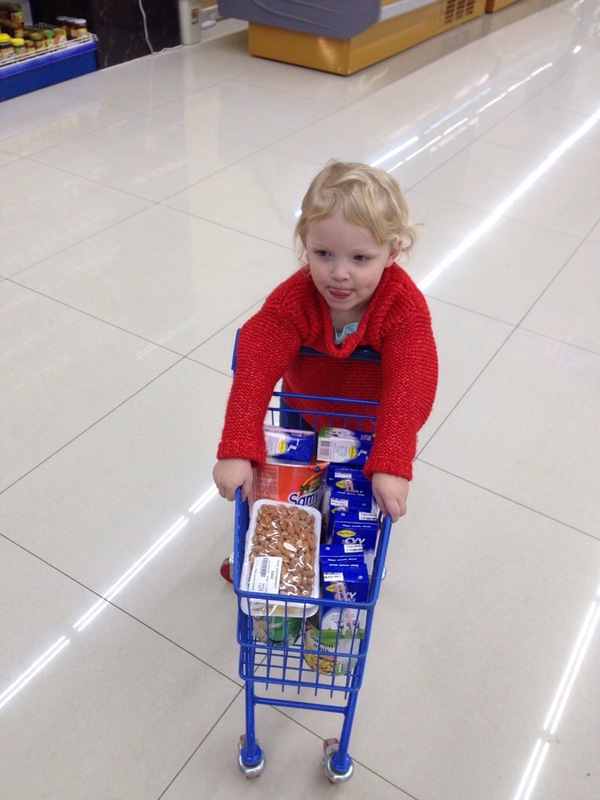 Surprisingly, the random grocery store that we found was far better than most in Dubai! After stocking up on bread, peanut butter, fruit, water, and UHT milk, we left Ulaanbaatar for Terelj where we will spend out first two nights. Within ten kilometers of the capital city, things began to change. 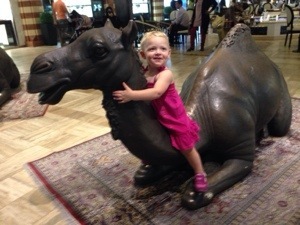 And we even saw our first two humped camel! 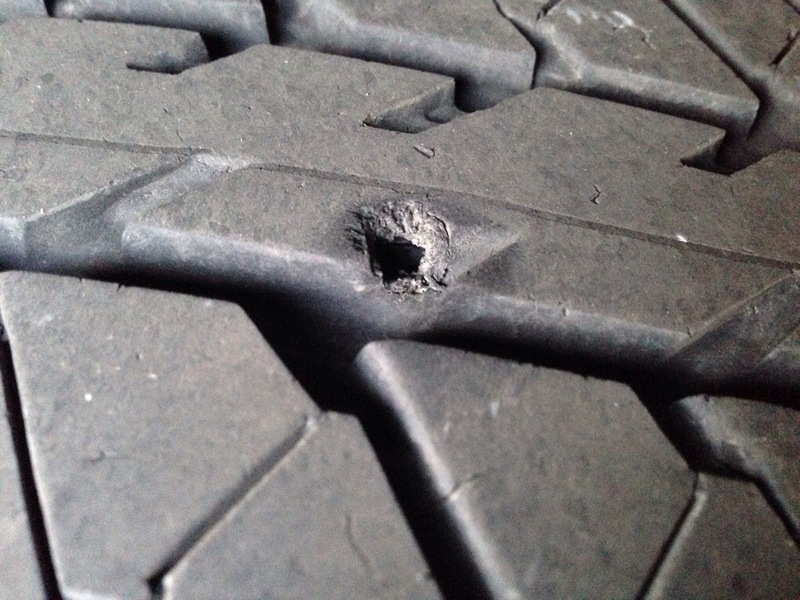 …only to realize that there was air GUSHING out of one of our back tires! I haven’t blogged in a super long time. I have been thinking about posting and there is no doubt that I have had a lot to say since moving to Dubai, but, for some reason, I just haven’t been making it happen. Two things happened lately that have resulted in me breaking my silence. The first is the topic of this post. The second was a friend reminding me that I had a blog and a conversation about how we both have neglected blogs. A few weeks ago I had the opportunity to go to dinner with an amazing young woman. Have you ever been trucking along through life thinking that you’re doing pretty good? Maybe you got to do a few cool things recently or have had some minor successes with which you are feeling pretty satisfied? Then you meet someone who completely blows you out of the water. One of those people who, within minutes, you are convinced will do something in life, probably many things, that are truly outstanding. A few days ago I was invited to dinner by one of my co-workers. She wanted me to meet a Saudi woman who was here for training in Dubai. I heard that the dinner would be with my co-worker, the Saudi woman, and the Saudi woman’s mom who had come with her to Dubai. My initial reaction was ‘ugh, dinner with work people, what a drag’. I almost said no. After saying yes, I almost backed out. In hindsight, it was stupid that I was so reluctant to go, and I can tell you that, without a doubt, I regret feeling that way because I ended up meeting a really awesome lady. 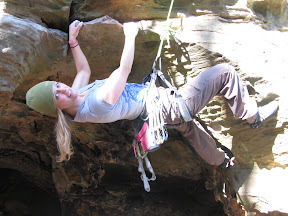 I think many Americans, probably many Westerners in general, have preconceived ideas about what Saudi women are like, so I feel inspired to write about this lady because she, and, for that matter, every Saudi woman that I have had the pleasure of talking to, are doing awesome things that would put most American women to shame. My new Saudi friend, I think I will call her my friend, we have plans to go skiing in Dubai later this month, is named Samar and she is an electrical engineer. She has more ambition than you can imagine and the charisma of a great leader. Over the course of three hours, she told me one story after another that left me completely in awe of her. She was the first woman hired at her company, the only woman working at her company, and it took a huge amount of drive for her to achieve that. When Samar was a student at university, she wanted to do the typical two internships in which most engineering students participate, but there weren’t many opportunities for aspiring young female engineers in Saudi Arabia. Together, Samar and her father talked hiring managers at two well-known, global companies into hiring her for internships. When she finally graduated, armed with solid experience working as an electrical engineer, she got a job at a third company as their first female employee and she is setting the stage for more women to follow her. As we ate dinner, she mentioned several times that although her head was covered, her mind was not; this really resonated with me. She told me about the program that airs on NBC that she films each year, I hope to watch the next season when it airs again this fall, and about a speaking engagement that she has this month for a global conference of young men and women from developing countries. She plans to speak in English so that the maximum number of people can hear her message when it is posted on YouTube. She is a huge advocate for inspiring a youth movement in her country aimed at arming youth with the business and technology skills needed to bring more industry, and with it more good jobs and better opportunities to Saudi Arabia. I can tell that Samar has a sense of responsibility for her future, the future of Saudi women, and the future of her country that would put most of us to shame. 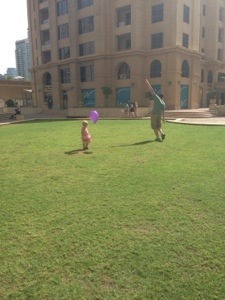 When asked what was in store for her future, she told me that she would get a Harvard MBA in the next few years. HBS is a competitive program to get accepted to, but I have no doubt that she will do it and that it will set the stage for some life accomplishments that are far beyond what most of us dream of. I think the take aways from this story are that if we should all keep our minds uncovered. That we should all dream a little bigger. And that we should all more actively take responsibility for the future. I am looking forward to my trip to Ski Dubai later this month and feeling inspired yet again by Samar. After our marathon hotel stay when we arrived (87 days!!! ), we were finally able to move into our apartment a few days before Christmas. Our container arrived just in time to put our Christmas tree up on the 23rd and to unpack our winter coats only days before we headed to Eastern Europe for Christmas break. The apartment is working out nicely. I never thought of myself as an apartment dweller, but I think it will be an ok home for a few years. It is fairly roomy, almost as big as our house in Indiana, and has a great view of Atlantis and a not quite as good ocean view. Not surprisingly, one of my favorite features is the 2.7K rubberized jogging track immediately out our back door. The only major shortcoming, which is almost universal for Dubai, is the lack of a clothes dryer. The US seems to have a staggering number of clothes dryers per capita compared to the rest of the world, so much so that people look at me a little funny when I lament the fact that I don’t have one. Fortunately, I got on board with a clothes drying rack early, so we don’t have clothes hanging from every door, cabinet door, and piece of furniture like we did in India. Over the weekend, we put some effort into beautifying our giant balcony by adding four plants including a kumquat tree. I’m hoping to wean Chris and Kai off of their expensive Spanish clementine habit, but that is probably too ambitious of me. With the exception of having Chris’ office to organize and decorate still, I feel like we are settled in to where our routines and day to day activities can return to normal. What a relief to finally get back in our groove! We arrived in Dubai one month ago and things have pretty much been business as usual since we got here, or at least as much as one might expect when moving halfway around the world. Kai started daycare the day after we arrived, I dove head first into my new job, and Chris started his first official Sunday work day with gusto. For now, we are in temporary housing, which has its ups and downs, but all in all things are shaping up to be pretty good on this side of the world. 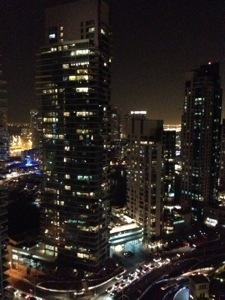 We arrived in Dubai to a brightly lit urban landscape at our temporary home overlooking Dubai Marina. Until our ocean shipment arrives, supposedly next week, we are staying halfway up a mega tall building in a two bedroom, three bathroom hotel suite – the biggest hotel room I have had since our trip to Marrakech. Initially I was a bit concerned about living in a high rise with an almost two year old, but it is working out just fine. The amount of safe outdoor play space is far more than I imagined and I am still amazed at the number of Kai-sized kids that we see on a daily basis. Kai has adjusted really well to her new daycare, one of the biggest worries that I had about moving. 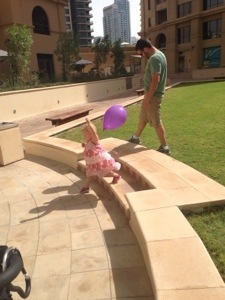 They have a lot of great activities there and she seems generally happy with going to daycare. I think my favorite part is that she is learning French. They mainly speak English to the kids at her age, but she can ‘bonjour’ and ‘au revoir’ with what sounds to me like a perfect French accent. She also counts to ten now, in both languages! I’m impressed! As expected, the bureaucracy here rivals that of India, which I’m sure will make for some interesting stories throughout this journey, still things are going remarkably well. I have managed to get a visa, Emirates ID card, driving license, and temporary car. Unfortunately, Chris’ official documents are still in process and may be for some time. On the other hand, it looks like we are positioned to get Chris’ ‘for real’ car sometime next week – I don’t think we can say the same for mine. Another exciting development for next week is that I am expecting our ocean shipment to arrive! I really miss my stuff. I have been wearing the same three pairs of shoes for five weeks now and it is getting old fast. Also, I will be pretty delighted to have my proper dishes, silverwares, pots, pans, and other kitchen paraphernalia. Our hotel room kitchen is just marginally better stocked than our India kitchen was. Enough said. Maybe next week I can post pictures of our apartment, furnished with our stuff. That is probably a pipe dream, but I can hope. Because who doesn’t love to run a good marathon? I know, right? Since I am a glutton for punishment, I have signed myself up for two of them. The first of the two is a trail marathon in Indy on August 3. I don’t have any goal for this race except for just completing it and running as much of it as is reasonably possible. I haven’t run on trails regularly since high school, and I will probably not have a chance to run many trails in the next few months, so this may prove to be interesting. I will try to plan a few long runs on the trails in our local state park, but no promises there. In addition to that small detail about the race being on trails, there is an even bigger unknown. August weather in Indiana. The average temperature in Indy on August 3 is 83 degrees, presumably with 95% humidity. Essentially, I expect it to feel like 90-100 degrees out there. Sounds like fun, eh? The second race is a small inaugural race in Southern Indiana on September 28. I chose to register got peer pressured into signing up for this race for a few reasons. First, a bunch of people from my running club are doing it. Second, peer pressure. Peer pressure is no joke, it can be a huge motivator, don’t underestimate it. After returning from vacation last month, I have been working on being more deliberate about my running. I’ve failed spectacularly at that, but, somehow, I have still been logging a decent number of miles each week. I have been averaging slightly more than 30 miles per week. I think the sweet spot for me running a marathon is somewhere between 30 and 50 miles per week depending on where I am in the training plan. Fewer miles and I will be unprepared, more miles and I fear that I will get injured/stressed out/tired/other bad thing. This is a fairly personal thing, my way is definitely not the “right” way, but I think it will work for me. I have a goal in mind for that second race, but I’m not ready to put it out there yet. I need to do a few of the longer, long runs to understand how realistic it might be. More updates coming soon. Even non-runners love running fodder, no?